In a recent interview with Sherdog, UFC light heavyweight champion Lyoto Machida said he would accept a fight with a teammate if the UFC asks, but made it perfectly clear that partner better not be middleweight king Anderson Silva. “Anderson is a fight that is totally discarded for me. First, Anderson is a very close friend and he fights in a different division. He has no interest in my division and I feel the same,” Machida explained. The Team Black House mate he’d be open to fighting was Antonio Rogerio Nogueira (Little Nog), the twin brother of former UFC and Pride heavyweight champion Antonio Rodrigo Nogueira. “With Rogerio it is different because he has his dreams, his commitments with sponsors and I cannot mess up his way. I have to understand that in a professional way and know that it may one day happen. He would not be a fighter I like to face, but if the UFC wants, we must accept,” he continued. Machida openly admitted that although he and Little Nog don’t communicate as much as you would expect, they still represent the same team and would prefer to avoid a showdown. Rogerio Nogueira was scheduled to fight former champion Forrest Griffin at UFC 114, but a shoulder injury forced the organization to replace Griffin with little known Jason Brilz. 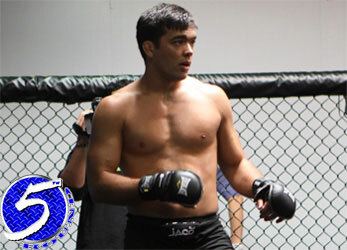 First things first though, Machida has to get past Mauricio “Shogun” Rua at UFC 113 on Saturday night.